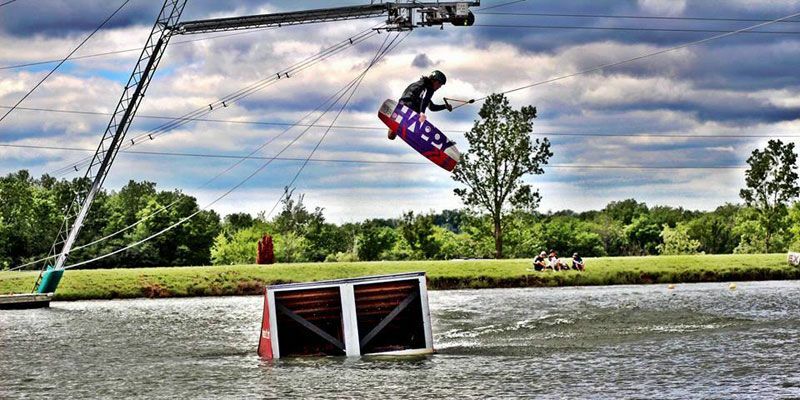 Well, almost, with KC Watersports, billed as the best wakeboarding destination in the Midwest. 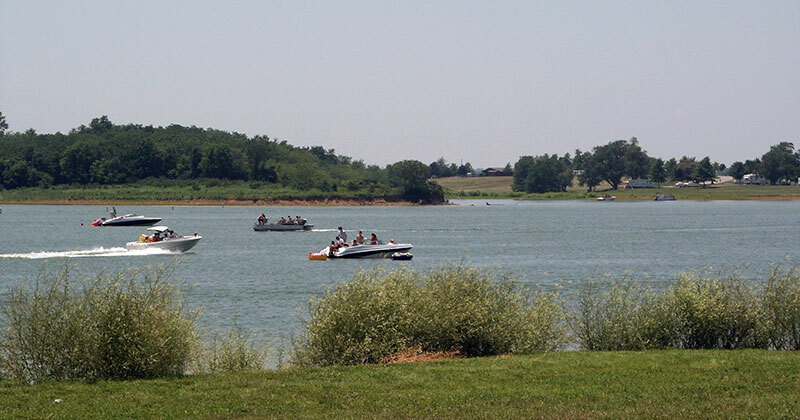 Located just south of the city in Paola, KC Watersports features a 2.0 cable lake where beginners can learn the basics and get their “sea legs,” while the larger, 7.5-acre cable lake uses an overhead cable system with more features for honing advanced skills. The fun here also includes stand-up paddle boarding, a pro shop and a beach to just sit and watch the action. Approximately 20 miles from downtown, Smithville Lake offers a wide array of recreational water activities. Encompassing 175 picturesque miles of shoreline, this 7,200–acre lake features two swimming beaches, full-service marinas, multi-lane boat ramps, a sailboat launch area, a dockside restaurant and some of the best catfish, walleye, crappie, tiger musky and largemouth bass fishing in the region. Other activities include equestrian, biking and walking trails and two 18-hole golf courses. Situated right in the middle of the metro area, Lake of the Woods in Swope Park—one of the largest urban parks in the country—attracts anglers from all around the metro area to hook delicious crappie, sun perch, catfish and bass that go from “lake to table.” Visitors can also swim, camp and rent cabins here. Looking for something in the water but not on the water? Kansas City’s got several waterparks that fit the bill. Situated inside of the Adam’s Mark Hotel and Resort just east of downtown is the Coco Key Water Resort. Barracuda Blast, Shark Slam, and Pelican Plunge are among the special slides, while Coral Cove's Slam Dunk, Parrot's Perch, the Palm Grotto indoor/outdoor spa and Coconut Grove Adventure River are some of the popular aquatic activities. 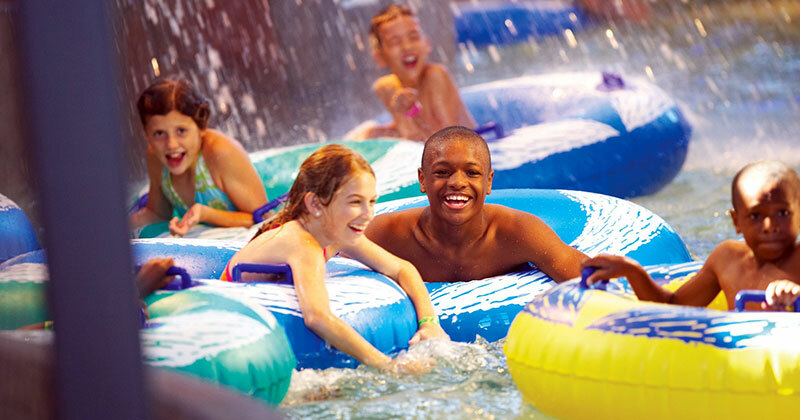 Great Wolf Lodge in Kansas City, Kansas, is highlighted by a four-story interactive treehouse water fort, family and adults-only jumbo whirlpools, a winding lazy river, water basketball and kiddie slides. The Monsoon, Coconut Cove, Predators Plunge, Hurricane Falls and Crocodile Isle are a few of the aquatic thrill rides at Oceans of Fun. 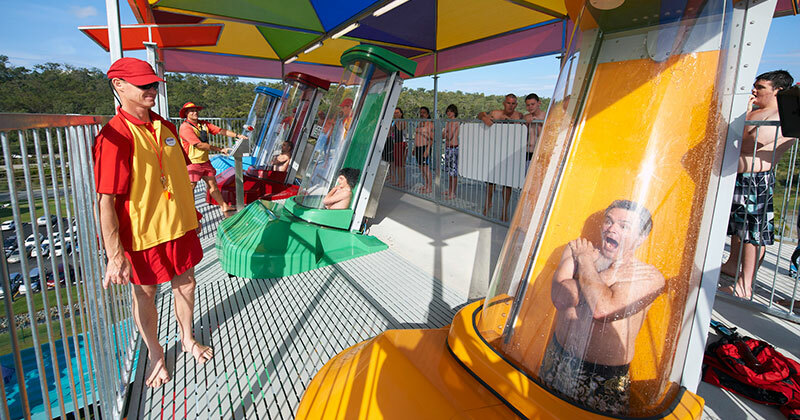 In addition to a handful of island-themed diversions like the Surf City Wave Pool, Diamond Head and the adults-only Castaway Cove, two new attractions were added in 2015: Splash Island with an interactive splash pad, and at Buccaneer Bay, a five-acre lake with swan paddleboats. Wyandotte County, referred to by the locals as “The Dot,” is home to Wyandotte County Lake. Here, fishermen of all ages catch everything from catfish to rainbow trout, walleye, northern pike, bluegill and carp in this 400-acre area favorite. Other recreational options include sailing and swimming from privately owned or onsite rental boats, a boathouse, playgrounds, picnic shelters and horseback riding trails. Canoeing, sailing, sail boarding, paddle boating and fishing are just a few of the exciting activities at Shawnee Mission Lake. Situated inside Shawnee Mission Park, the lake extends 120 acres and includes a marina and swimming beach, while the overall 1,250-acre park has a visitor center, campground, remote-control flying area, picnic shelters, off-leash dog area, archery range, traditional and disc golf courses, and an observation tower offering spectacular views of the surrounding area. 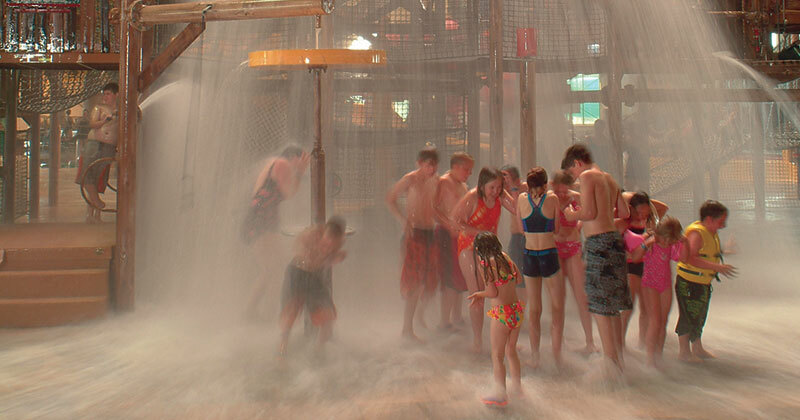 Whether in a lake or on a dock, jumping into the water or letting water rain down on you, Kansas City offers wet and wild fun for all! From al fresco adventures to indoor entertainment, good eats and more, everyone can be a kid in the City of Fountains. While the teens and tweens under your roof may be happy to spend their summer days—and nights—gaming in the basement, you know there’s a bigger world out there for them to see. Luckily, Kansas City is a city for the ages, and for all ages.